Skin polishing has become a growing trend of late, with women (and even men) seeking ways to achieve perfect skin. Lancôme has introduced a new corrective day cream that specifically addresses wrinkles, pores, and skin evenness. 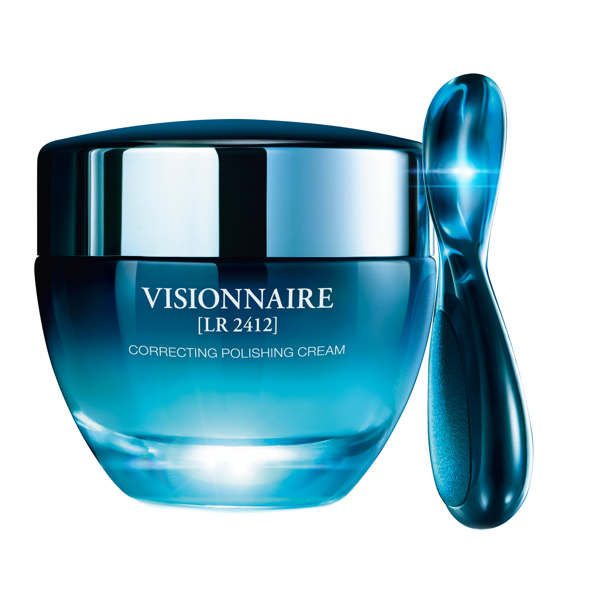 The Visionnaire Correcting Polishing Cream- Polishing Pad aims to correct skin tone and skin texture irregularities. The polishing complex does wonders to exfoliate, brighten, and boost radiance of the skin by removing the dead cells from the surface. This is perhaps one of the very few affordable skincare product solutions out there which has made women postpone the temptation of a cosmetic procedure, this after a 4 week consumer use. 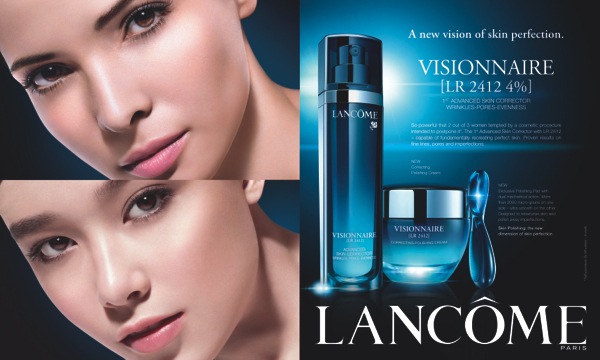 Here are the other products from Lancôme’s Visionnaire line. Lancôme’s Visionnaire line is now available at Greenbelt 5, Rustan’s Makati, Shangri-la, Alabang, and at Essences at the Rockwell Power Plant Mall.